TO MEET the aspirations of Vision 2035 for the people of Brunei Darussalam to be in the world’s top 10 countries with the highest standard of living, the national education system must provide every student the opportunity to acquire the right skills and competencies to seek gainful employment that would build the foundation for a more inclusive and harmonious society. Technical Vocational Education and Training (TVET) provides opportunities for students to learn hands-on skills and competencies required in the workplace. 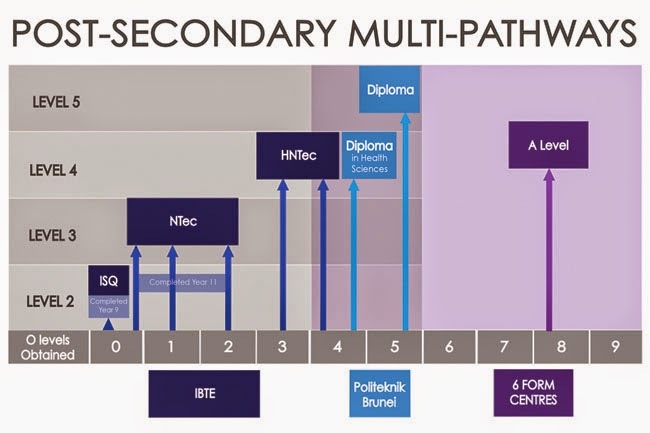 These skills are highly sought-after by the industry and TVET will be providing students with skills-based instructions that would benefit those dexterous learners more than other learning styles. THIS year will mark the 31st anniversary of Brunei Darussalam’s full independence, which it achieved on January 1, 1984. 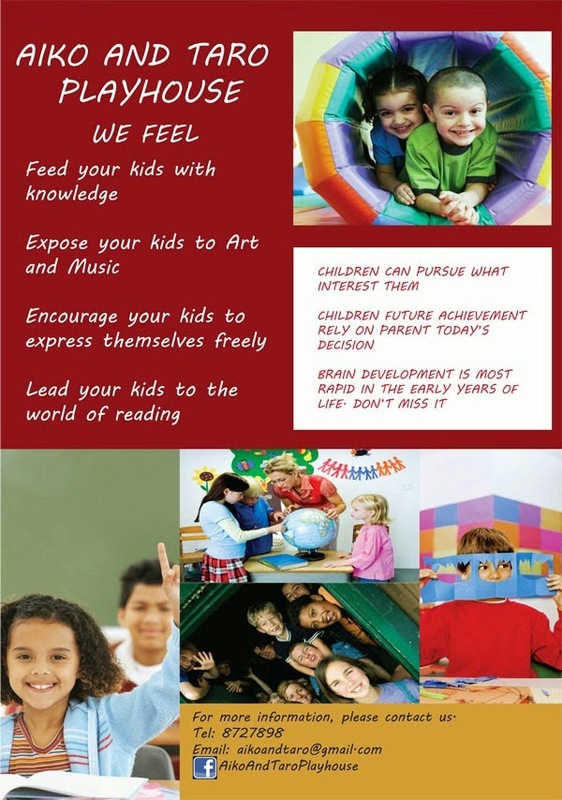 Every year, the country celebrates its National Day on February 23. 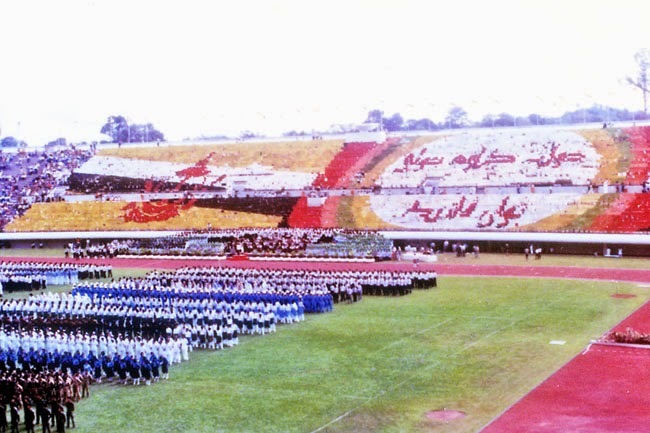 One of the memorable occasions during the first National Day celebration in 1984 was the appointment of Haji Abdul Rahim bin Haji Metussin, a student from Universiti Brunei Darussalam (UBD), as the first reciter of the national pledge at the distinguished occasion. The whole country, as well as other countries in the Asia Pacific region, witnessed the momentous event live on television. 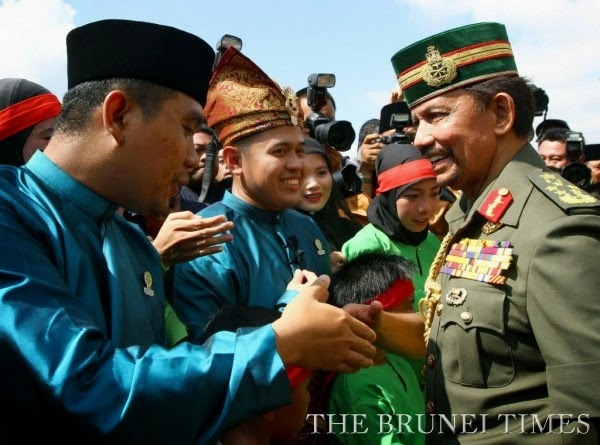 At that time, other countries were just started discovering Brunei, a small country that has managed to achieve independence peacefully. 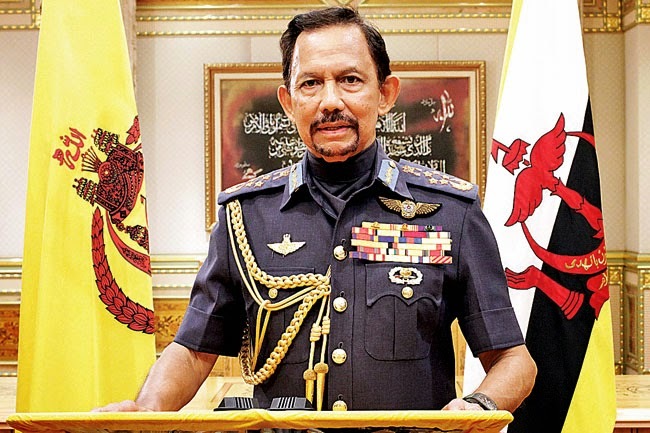 BY THE command of His Majesty Sultan Haji Hassanal Bolkiah Mu’izzaddin Waddaulah, the Sultan and Yang Di-Pertuan of Brunei Darussalam, the Grand Chamberlain Yang Amat Mulia Pengiran Penggawa Laila Bentara Istiadat Diraja Dalam Istana Pengiran Hj Alauddin Pengiran Paduka Tuan Pengiran Hj Abu Bakar yesterday announced that the monarch’s newly-born grandson has been named Yang Amat Mulia Pengiran Anak Muhammad ‘Aamir bin Pengiran Anak Haji Muhammad Ruzaini. 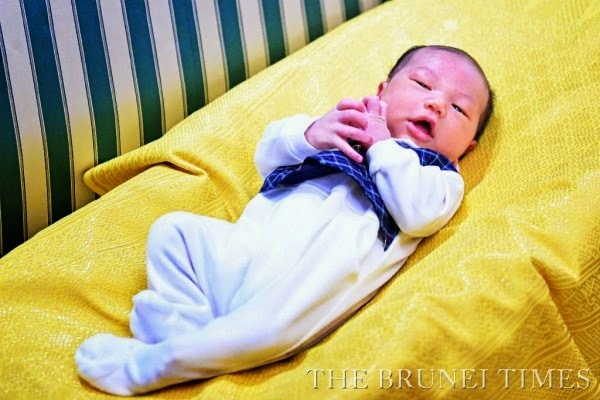 His Majesty’s grandson was born on February 13, 2015 at 6.55pm, to Her Royal Highness Princess Hjh Hafizah Sururul Bolkiah and Yang Amat Mulia Pengiran Anak Hj Muhammad Ruzaini bin Pengiran Dr Hj Mohd Yakub. His Majesty and Her Majesty Raja Isteri Pengiran Anak Hajah Saleha expressed their gratitude to all involved during the delivery of the monarch’s grandson, and messages of congratulations received following the royal birth. THE beating of drums and clash of cymbals resonated throughout the capital yesterday as hundreds of members of the Chinese community converged at the Teng Yun Temple to mark the beginning of the Chinese Year of the Goat. 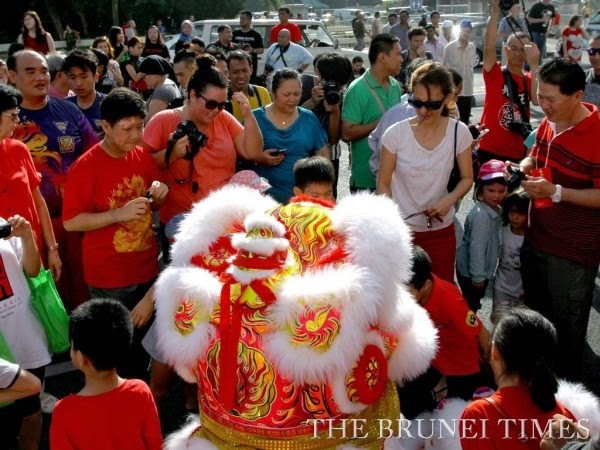 The biggest event of the Chinese calendar, it is customary for Chinese communities all over the world to start off their Lunar New Year’s first day with offerings and prayers at a temple, and the community in Brunei Darussalam is no exception. 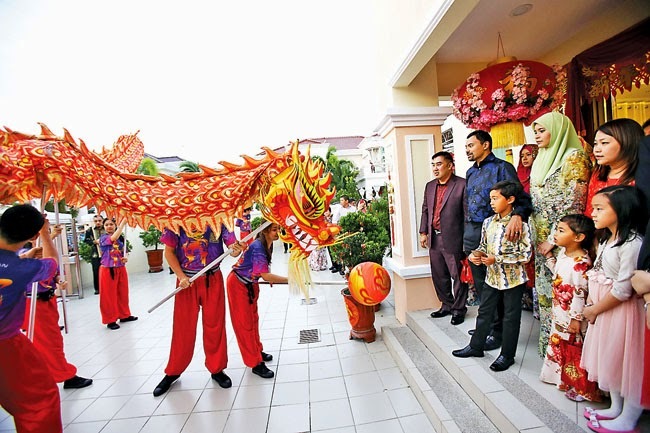 Amid thick smoke from burning candles and incense, a prominent lion dance troupe from Chung Hwa Middle School entered the temple’s courtyard to kick off the celebrations, performing to a crowd who had gathered as early as 7am to witness the colourful and lively performance. 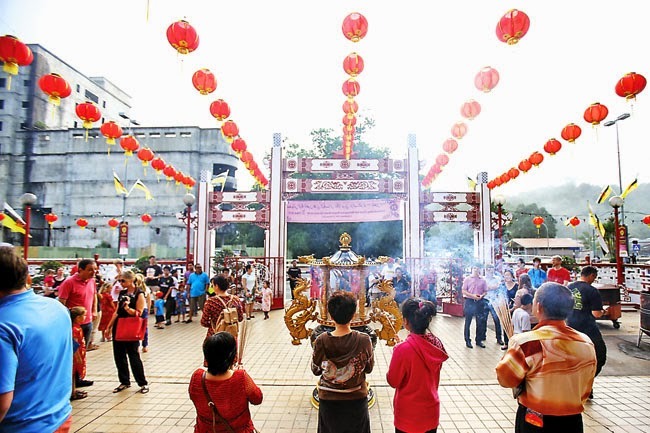 THE start of the Chinese New Year brought worshippers and the public together to enjoy the celebration yesterday at the Teng Yun Temple in Bandar Seri Begawan. Among the festive crowd was Victor A Seleznev, the outgoing Russian Ambassador to Brunei, who has attended the event every year throughout his five-year posting in support of the country’s tolerance for ethnic diversity. 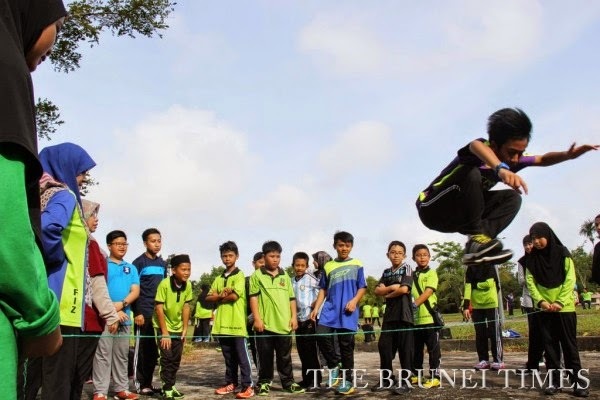 “The respect shown by Bruneians is a great demonstration of tolerance in friendship among the people,” he said, praising the peaceful state of the nation. Like many visitors to the Chinese temple during the morning of the Lunar New Year, Seleznev was looking forward to the animated lion dance. Describing the dance as “charming and interesting”, he said he was awed by the acrobatic skills of the performing troupe. THE festive Lunar New Year of the Goat began with a royal touch as His Royal Highness Prince Haji Al-Muhtadee Billah, the Crown Prince and Senior Minister at the Prime Minister’s Office with Her Royal Highness Paduka Seri Pengiran Anak Isteri Pengiran Anak Sarah graced the Chinese New Year open houses of prominent figures in the Chinese community yesterday. Accompanying Their Royal Highnesses were HRH Prince ‘Abdul Malik, HRH Prince ‘Abdul Muntaqim and HRH Princess Muneerah Madhul Bolkiah. Their Royal Highnesses first visited the house of a prominent business figure and Legislative Council (LegCo) member, YB Pehin Kapitan Lela Diraja Dato Paduka Awang Goh King Chin in Kampong Sungai Besar, Jalan Kota Batu. Their Royal Highnesses were greeted on arrival by YB Pehin Dato Paduka Awang Goh King Chin and Datin as well his family members.